Today, a small diversion again, away from beer and bars towards sake and books. I haven't been able to visit many (actually, maybe 'any' would be more accurate...) new places recently due to various constraints. Apologies for this, but it really does take a bit of money and effort and I don't exactly get anything in return. Well, until I received a copy of this book! I was contacted to ask if I wrote about books on here, and whilst I have done this very rarely in the past, I'm always open to suggestions. Thanks to Tuttle, the publishers of this book for sending me my first ever freebies (aside from some much appreciated beers that I received from a visiting beer lover). Please don't think that I have sold out though. My endorsement cannot be purchased! And possibly it might not amount to much anyway. I have always been interested in sake, but am pretty much clueless about it. Probably the main thing I know about sake is that it should not really be drunk in the same session as beer if you are consuming either of them in anything other than very modest quantities. Sake has always seemed a little intimidating to me. I can't handle it particularly well, I'm not really sure what I am supposed to be tasting and looking for and it felt a little bit like a rabbit hole waiting to be jumped down. Much like the beer world, if you don't really know what you are looking for, there is a decent chance that some nasty sake might turn you off all sake and close you off from a whole world of taste possibilities. So this book is a very welcome guide and pretty damn useful for getting you started. The book is divided into three main sections, much in the same way that the Camra beer guides are. I am a huge fan of Tim Webb's Good Beer Guide to Belgium and that greatly increased my knowledge and appreciation of Belgian beer. I hope this book can do the same for me for sake. 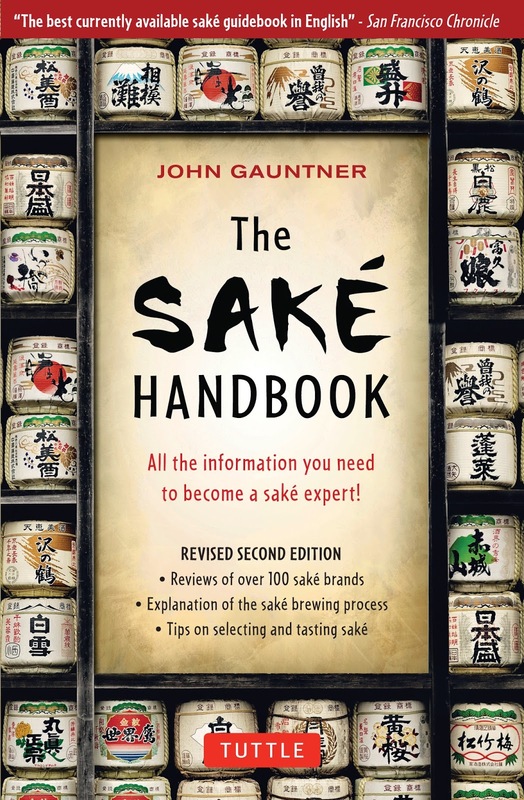 The first section deals with information on the sake brewing process, the various sake styles, parameters by which sakes are differentiated and tips for tasting sake. Each of the chapters in this first section of the book stands alone pretty well I think, so if you are interested in something specific, you can read about it without suffering for not reading the previous chapters. I always struggle with the science of brewing (beer in particular) despite having taken quite a few brewery tours. Something strange happens where I think I am following what is being said but the information seems to leave my brain pretty much instantly. I think I have come away from this book much better informed about the process of brewing sake than I was before. I guess this is something of a requirement for a book that explains the production of sake, but it feels like a real achievement for the book to have got something scientific to stick in my pigeon brain. The second section consists of a list of sakes (obviously not exhaustive as this would be pretty much impossible, but rather focused on what the author considers good recommendations covering a range of styles and from a variety of locations) with detailed information and some small tasting notes along with a picture of the label to give you an idea of what you are looking for. It's a shame that these pictures are black and white, as it might help people find what they are looking for in a shop a bit easier if they were in colour. Although, I guess that label designs change and it's more useful to have the details. The third section focuses on places to drink sake and to buy sake. These listings are dominated by places in Tokyo, but there is a smaller section of listings for the rest of Japan and some information for places in the US too. The main place listing section has small write-ups with general information, a map to help you get there and notes on price, selection and opening hours. It's a very interesting book to read and it has certainly encouraged me to try to broaden my sake horizons a little. 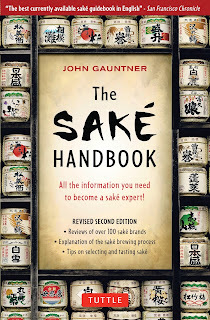 If you have any interest in furthering your knowledge of sake, I would say that this book would be an excellent resource. It certainly seems that there are quite a few parallels between the Craft beer and sake scenes and these are something that I am looking forward to appreciating more as I consume more. So this concludes the posts for 2015. I'll try to make more of an effort to get some new places on here in the new year. Apologies if you were waiting for more bar posts and you think that this is out of place on here. I think it is something that many beer lovers will have an interest in though. But now it is time to relax and enjoy the festive season. I wish you a Merry Xmas and a Happy New Year and I hope that you are able to enjoy yourself with some good tasting booze. Cheers!